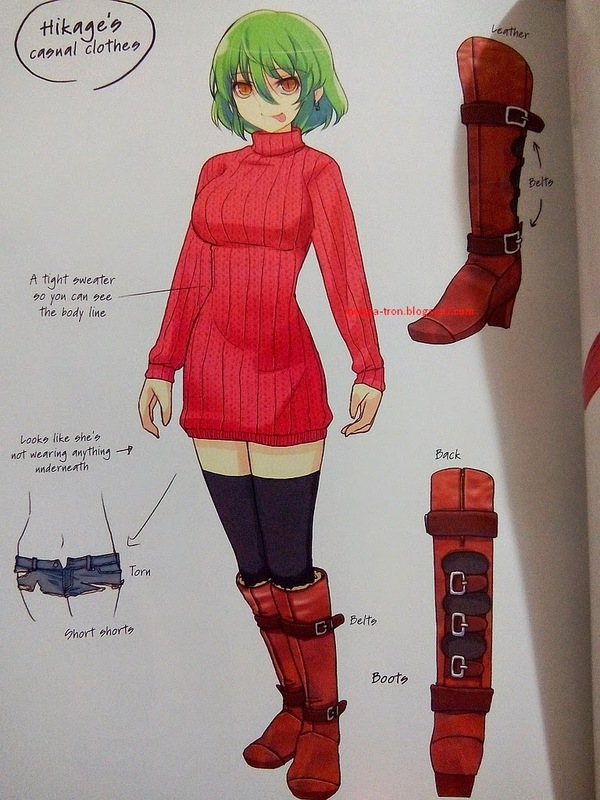 Look at my waifu Haruka (left), that glorious black camisole, the open shoulder sweater, that miniskirt pantyhose legs, ah no wonder why I love her :D Meanwhile Hikage has a great choice, vertical lines sweater with thigh high knee socks that give the impression she wearing no pants XD I can't wait to play this game.... yeah, that's right, I haven't played it yet. Dealing with the DLC is a nightmare, just today new Christmas santa outfits were released for all Senran Kagura SV girls and I found out too late that the DLC was glitchy and the only way to remove it was to remove all Senran Kagura content on the Vita's memory card.... including the save >__> So, I learned my lesson, after I painstakingly redownloaded all the free DLC minus the santa outfits, I backed up that trite to my computer, and the hilarious part is, I have to do this every time DLC is released for this game, as this happened before with the rainbow pantsu DLC that was also glitched (but has been fixed already). The model kit, a 1/144 Real Grade Zeta Gundam, is actually one I've been wanting for some time now, I had actually forgotten it existed until November when I bought it. 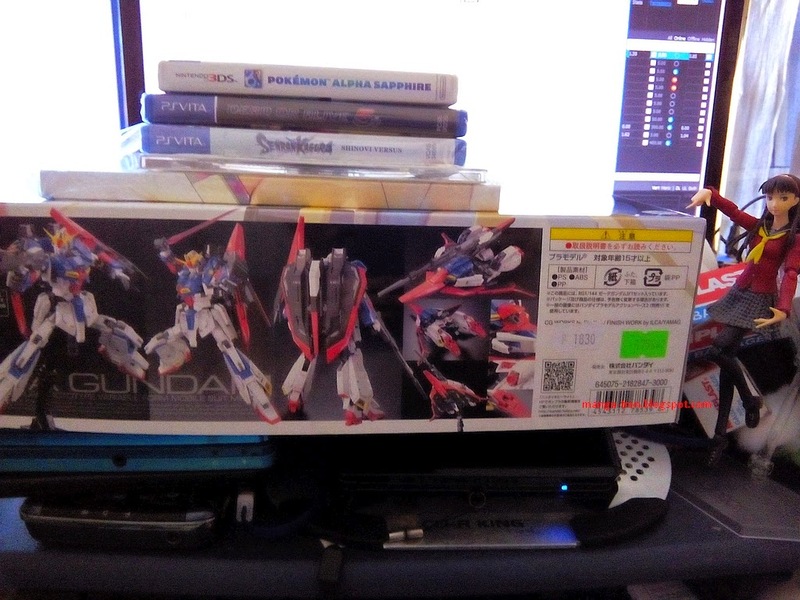 It was really funny when the mailman delivered it, my brothers, curious what the package was, asked, and I told them I ordered the RG Zeta gundam. My older brother, the 2nd, said something rather funny, he asked "Not Build Fighters? ", because all 3 of us have watched both the first season and currently are watching Try, and we all enjoy the series. So the major thing I like about this RG Zeta is the ability to transform without removing key limbs or parts like the High Grade 1/144 Zeta did. Another reason was that I had bought the Perfect Grade Zeta when I was in the USA; it arrived the day after I left, and I haven't had a chance to build it. As you can see the Zeta comes with an interesting set of hands for a 1/144 scale Gunpla, 2 jointed thumb, index finger and the 3 other fingers together. 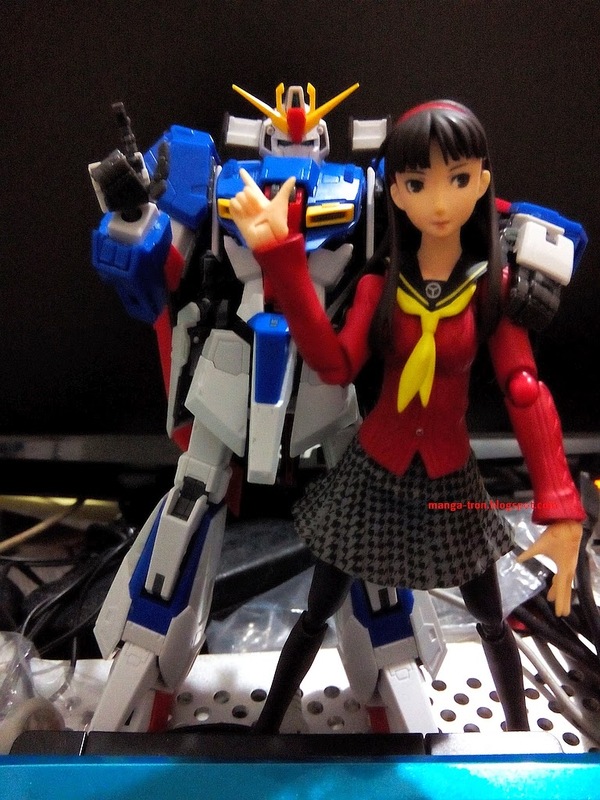 I was very surprised it came with these, something I thought was only possible with 1/100 and up scale gunpla.